I discovered a Mediterranean Gecko egg while cleaning out the garage. I put the egg in a small acrylic container lined with soft paper, and decided to keep observe it over time. 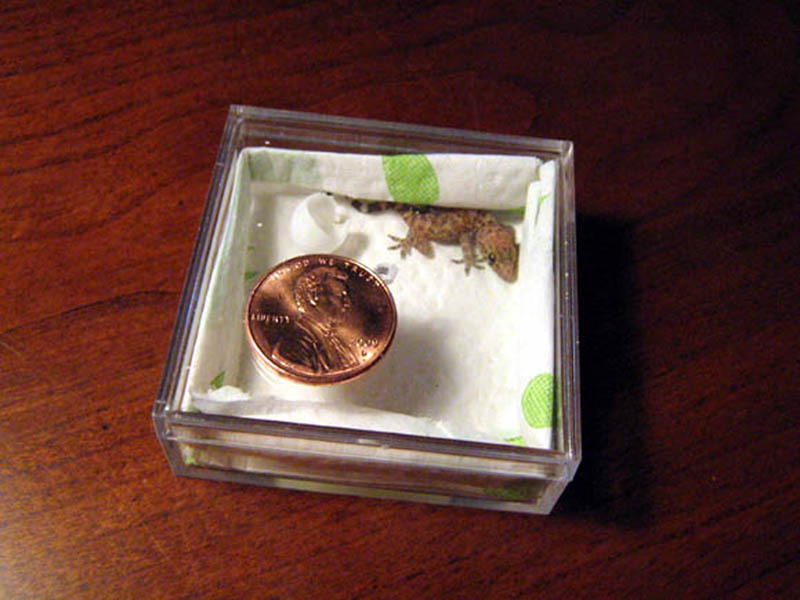 Eight days later I came home from a short road trip, and discovered that the Mediterranean Gecko egg had hatched. Over the course of those eight days the egg was kept at room temperature. After taking these pictures, I opened the acrylic case, and set it outside in the shade under a bush. I checked on it five minutes later, and the baby gecko had already left. I kept the egg in a small acrylic container lined with soft paper. 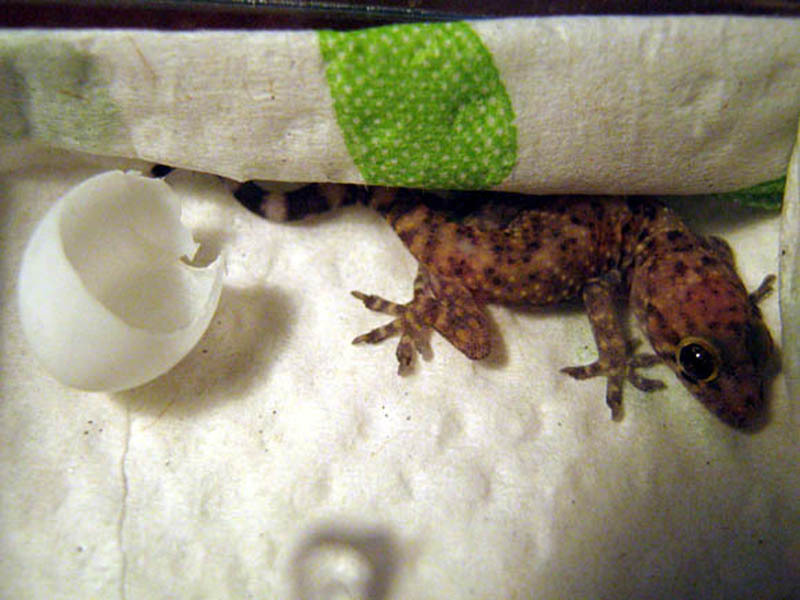 Eight days later I came home from a short road trip, and discovered that the Mediterranean Gecko egg had hatched. Over the course of those eight days the egg was kept at room temperature. A closer look at the newborn Mediterranean Gecko. 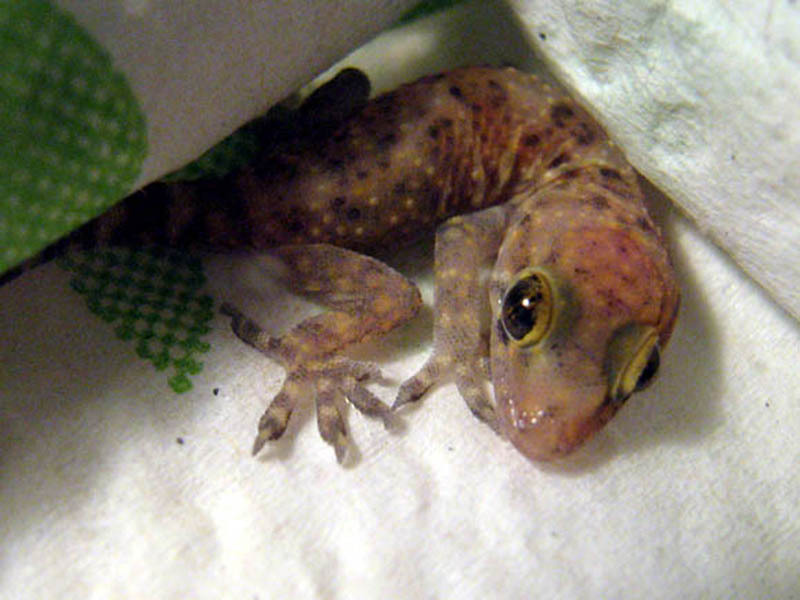 The gecko seldom moved during the photographing and examination session. A nice picture of the acrylic case the egg was kept in. In this photograph you can see the newborn gecko, and the empty eggshell. The Lincoln penny is for scale. 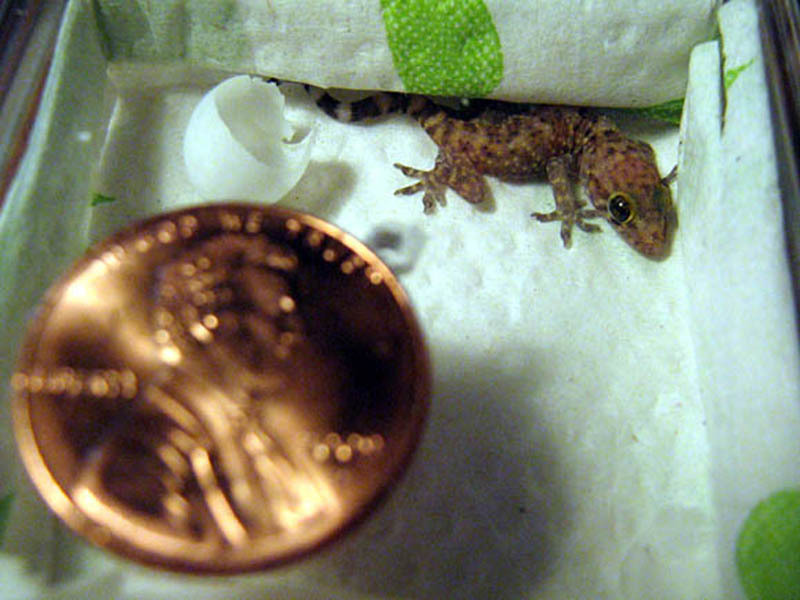 A closer look at the newborn gecko and its eggshell, with a penny for scale. Including the tail, this Mediterranean Gecko was only 1.25 in/3 cm in length. 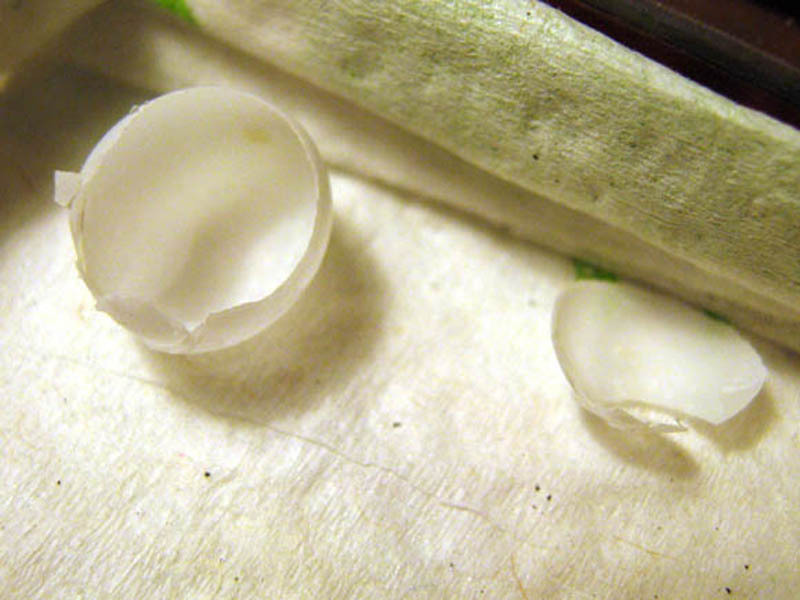 A closeup of the two pieces of eggshell left by the recently hatched Mediterranean Gecko. As you can see there was very little fluid left over from the hatching. After taking these pictures, I opened the acrylic case and set it outside in the shade under a bush. I checked on it five minutes later, and the baby gecko had already left.